Michael Pollan's "Food Rules" prompted a national discussion helping to change the way Americans approach eating. 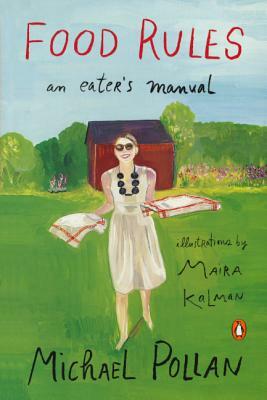 This new edition illustrated by celebrated artist Maira Kalman--and expanded with a new introduction and nineteen additional food rules--marks an advance in the national dialogue that "Food Rules" inspired. Many of the new rules, suggested by readers, underscore the central teachings of the original "Food Rules," which are that eating doesn't have to be so complicated and that food is as much about pleasure and community as it is about nutrition and health. A beautiful book to cherish and share, "Food Rules" guides us with humor, joy, and common sense toward a happier, healthier relationship to food. Michael Pollan is the author of five previous books, including "In Defense of Food," "The Omnivore's Dilemma," and "The Botany of Desire," all "New York Times "bestsellers. He lives in Berkeley, California. Maira Kalman is the author of "And the Pursuit of Happiness "and "The Principles of Uncertainty," and she illustrated the bestselling edition of "The Elements of Style." She lives in New York City.